We?re cavemen/women-wannabes, deluded health nuts, nonconformist cynics, shameless meatlovers, barefoot rabble – the list goes on and on. People who don?t know any better may assume a lot of things about us. We?ve probably all been in these situations by now, right? If you asked random people on the street about their perceptions of Primal/paleo adherents, I?d venture to say that a lot of them would say we?re beefy single men in our 20s – maybe 30s – who spend our days in the gym. Kinda funny, since the majority of MDA readers (by about 10% anyway) are actually women. And last time I checked not all of us – my ?old? self included – have seen 30 in a while. We?re not all Californians or even warm weather folk who spend our days shirtless and surfing (even though the barefoot shoe fits this guy). Many of us, in fact, weather winters cold and long enough to mirror the worst ice age. In fact, a substantial percentage of us aren?t even from the U.S. – or from North America. We?re from over 50 countries across nearly every continent (still holding out for the Antarctic contingent). We look out our windows and see tundra – or mesa, or ocean, or mountains, or farmland, or forest, or cityscape, or suburbia, or swampland. We?re in different time zones and seasons because we span literally every end of the earth. Not surprising given all these facts, we claim varying creeds (including no-creed) and many different ethnic identifications. There has actually been research to this effect. (Yup. Apparently, we?re finally common – or maybe just fascinating – enough to warrant study.) There have been a couple collections of crowdsourcing – first with 1100 people and then with almost 2900. Primal, of course, is its own subgroup and maybe even subculture within the larger ancestral community (and apparently biggest among the paleo set according to the crowdsourcing data at least). That means not all the stats they ran quite match up with what we see, but most of the larger patterns are similar. While certain pockets exist where more people identify themselves as Primal, we genuinely are all over the map as they say – from the U.S. to Australia, Ireland to India, South Africa to New Zealand. Just how many people use MDA resources in a year? Suffice it to say it’s millions upon millions. But here?s the thing. 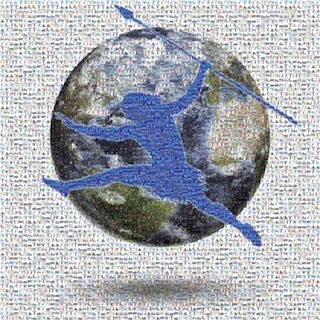 I can look at survey or crowdsourcing results broken down into global maps, ethnic categories, and age ranges, but the information that will always interest me the most is why – why people are drawn to the Primal community or even just the Primal ideas. According to the survey, the top reasons people aligned themselves with the Primal/paleo way included weight loss, illness recovery, family (children?s) health, disease prevention, overall health, mental performance, weight/muscle gain, environmental reasons and fertility. It?s not an exhaustive list, but certainly these answers (particularly considering the blanket choices such as ?overall health?) encompass the majority of basic motivations for why people try a Primal Blueprint diet or choose a Primal lifestyle. 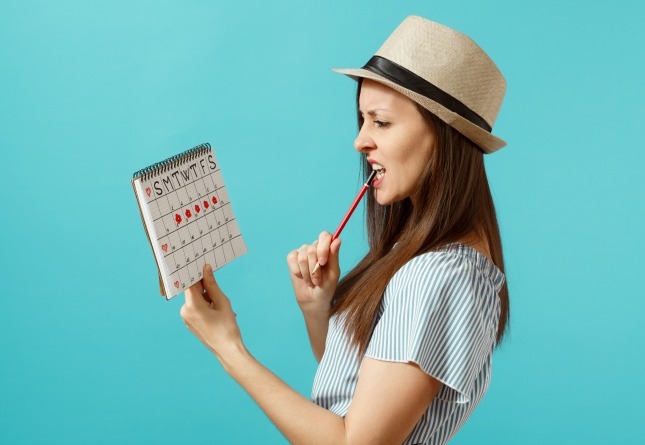 And yet even beyond the demographic breakdowns, even these motivational lists can?t begin to tell the full story – not as I see it. Because the larger ?story? is ultimately about individual stories. I started living and coaching Primal so long ago, I was doing it in person with clients for years. I read what little there was available and connected with the few people who were beginning to write about it. I learned the science, but most of all I witnessed the transformations. I knew when I started this site eight years ago that I wanted those stories to be a chief focus. I wanted community to be second only to strong content. I had these priorities because I felt the simple, unmatchable power of hearing – or reading – another person?s story. It?s more than just before and after photos, bigger than mere numbers. It?s the nuances of where people came from and what got them from A to B. What cultural or familial diet did this person grow up with? What did this person learn about exercise or active play in his/her childhood? What body images messages were prominent? What were the stressors at work in his/her life? What were that person?s biggest disappointments, most frustrating detours or most sabotaging misunderstandings or self-talk? Regardless of the person?s age, how many years had he/she dreamed of living well again? What sources of optimism or impetus kept him or her believing in more? What diagnosis, tragedy or example made it personal for him/her? What stubborn goal survived? What message or example was he/she determined to offer the kids? If he/she could be any kind of athlete, what kind would that person be? How did that person desperately want to him/herself? What was the first action that person took that changed his/her course? What was the second? What did he/she do that a month ago seemed impossible? What image or affirmation got him/her up at 5:00 a.m. each day? And as that person was making it happen – living in his/her vitality again, what did the specifics look like with his/her personal imprint? How did he/she blend a favorite regional cuisine with Primal principles? What activities brought joy as well as fitness to his/her life? What achievements or benefits came as a surprise? What did he/she want to tell that younger self – and everyone who was still contemplating making the Primal change? What were the turning points, the stumbling blocks, the linchpins, the embarrassments, the conquests, the mentors, the resilience-builders? We come to Primal from countless different experiences and vantage points. Some of us are so young we?re balancing the rules of our parents? homes with our own health vision. Some of us are old enough that we feel this might be our last chance to turn our lives around. We might be starting from zero or we might be ditching a health path that took us in a direction that didn?t work anymore. Some of us are elite athletes. Some of us are disabled. Some of us are both. We exercise a million different ways in a given day. Some of us can?t do it without others, while others insist on working out alone. Some of us couldn?t live without the gym, while others of us wouldn?t ever set foot in one. Some of us fast, and others of us never will. The variety of food we eat – when you put all the national, regional, and individual creations together would boggle the mind as well as the palate. We see different goals (and sometimes feel different frustrations) when we look in the mirror. We shoot for different carb intakes. We have individual food intolerances, are trying to get off varying medications, are overcoming deeply ingrained past thought and behavior patterns. And, yet, we also find ourselves basking in different elements of the Primal Blueprint, feel motivated by certain messages, push into new individual territories of the PB, are excited by the prospect of varying practices related to our personal enrichment as well as physical health. Months and years of experience formulate for each of us our individual senses of what constitutes health integrity, self-actualization, lifelong vitality and the good life as we see it. When you think of it this way, the diversity of the Primal community is as staggering as it is educating. Every story, every response, every experience gives me some new ways of seeing the Blueprint – and the community that contributes to its expansion and evolution. Thank you all for being a part of it – and for reading today. Offer up your reactions and anecdotes. What surprises or inspires you about the diversity of the Primal community? Have a great end to the week. I don’t care about any of the labelling of the “movement”; it’s just so extraordinary to discover that the 20th century model was so completely wrong. Ultimately I just want to know what molecules, in what quantities, in what combinations, at what frequencies will optimize my mental, physical and longevity outcomes. And it turns our that most sugars/carbs are a problem, some fats are good, some are dangerous, etc, etc. That said, it is in essence an “eat real food” approach. It is a concern that big corporate processed foods are now being replaced with little corporate processed (faux-paleo) foods. The so-called paleo movement has gotten lost in greed based entrepreneurial nonsense, sadly. A big miss of the whole point of ancestral nutrition is to buy into buying more crap in a bag or a box because it says “paleo” on it. Frankly sorry to see MS going that direction with his grocery store. 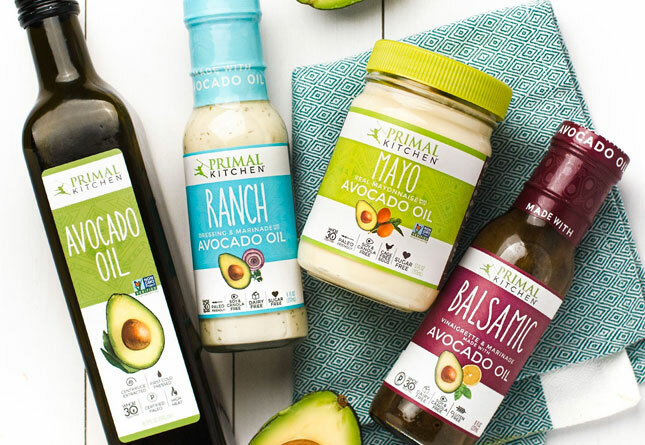 While I agree with you that the processed food industry has sadly begun to capitalize on the Paleo/Primal movement, I don’t necessarily see these products as a bad thing. Yes, boxed “Paleo” snacks are kinda antithetical to the idea of eating real foods. But I’d like to think that for those who are truly serious about living Primally, those processed foods are merely a stepping stone in their journey to quit processed foods – because, let’s face it, living without prepackaged snacks is a huge change for many of us. Junk foods are like cigarettes; some people can quit by going cold turkey, other require the patch. The route you take doesn’t make your journey any less significant. For me, working 2 jobs doesn’t always leave me time to prepare healthy snacks, so until I’m at a place in my life where I have time to make all of my own food, I’m going to rely on Paleo-friendly snacks to keep me from eating something worse when hunger hits. While it’s not my ideal food choice, I feel less guilty about them than I would a bag of potato chips – and I don’t feel any less Primal. Because as much as we may want to be cavemen, we live in the 21st century, and we have to accept that ours is a different world than Grok’s, with different schedules, stresses, and demands. Primal prepared foods are just one more tool we can add to our 21st century survival arsenal. I definitely get it that healthy can include processed foods. But do we really need specialty stores selling super paleo grok-bars or some such nonsense? The funny thing is that virtually all of the so-called real food that I try to focus on is almost all the result of agricultural practices over the last 15,000 years. So the paleo meme is sort of silly, actually. My rant is that the folks with blogs like this one and so many others are in the $$$ biz and trying to use this beautiful health movement as an ATM machine. 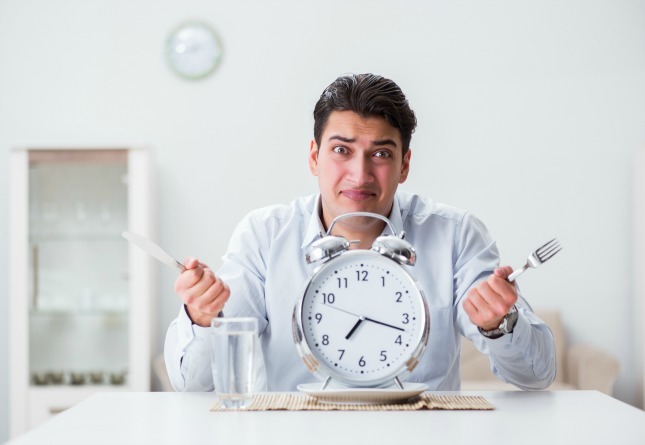 Most people can’t devote massive amounts of time to anything without some kind of payback. I like this site, feel I get a lot out of it for no money at all, and don’t fault the blogger for offering stuff for sale. It’s not like he *ever* tries to tell you the only way to success is by sending him money. I am quite thankful that Mark is able to make a living from doing what he is doing. Employing many others as well. The content and quality of MDA is far beyond what one could expect to find from some blogger that writes down his or her thoughts in their spare time. Mark has made this his life’s work and I appreciate it, and I also like that he is low key in the revenue generating aspect of it. But I do understand where you’re coming from though, the guy that pushes bulletproof this and that is over the top and I won’t go to his website because he is over the top in his desire to empty my wallet. Thanks Mark, you’ve made a difference in my life and I am grateful to you. John, you live in an idealistic world. The MDA website has helped thousands of people through the information it imparts. It’s also free, which is more than you can say about most things in this life. 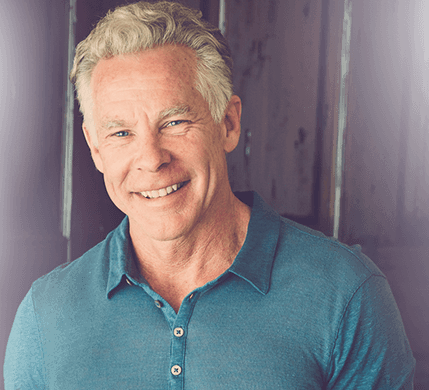 Mark Sisson is surely entitled to be compensated for all the time he devotes to putting out this info. If that means selling products that many people are interested in, then so be it. I don’t begrudge him. Meanwhile, nobody is holding a gun to your head and forcing you to buy into the $$$ biz or anything it’s selling. Frankly, primal mayo has been a huge hit in my household! I was thrilled when Mark came out with it because, despite living primally for 3+ years, the last thing I wanted to do was make my own mayo. And I love being in the kitchen! But drizzle oil into eggs while trying to get the consistency right? Not for me. I’m thankful for everything that is offered, from free blogs, to for purchase cookbooks & products. I like knowing they come from a source I trust. And I’ve never felt forced or compelled to purchase anything off MDA, just happy to have the option. Being part of the ‘ancestral community’ doesn’t mean we have to be club toting, fur wearing, hunter gatherers who only eat the food we catch ourselves and live in the woods. While that’s fine too, it’s also ok to embrace the best of Grok’s world while ‘living in the modern world’. In the same way power companies make money from heating our homes, or grocery stores make money by selling conveniently butchered and packaged grass-fed meat, so be it. I’d rather the ever expanding market of paleo available goods that fit in with modern living than go back to struggling to find convenient alternatives to making my own tomato sauce or grabbing a poison-free salad whilst out. And while going barefoot is awesome, I’d rather pay New Balance to cushion my feet than cut them on glass or step in dog-poop. Paying for these things is a choice. Mark isn’t forcing anyone to give him their money. Mark puts substantial time and energy into his research. His blog is free, no membership fees required, despite it being his intellectual product. Why should he not sell books or supplements or food products? Nobody is forced to buy anything. Mark offers free ebooks for download, along with other free resources. People who want to buy avocado mayo have a trustworthy supplier, those who want to make it at home are free to buy the ingredients from stores and go ahead. I would rather buy my supplements from Mark’s store, produced under his supervision, than from Costco, which goes for cheap over quality. I appreciate having that choice. Another thing I really like is Mark’s reflexivity: he constantly checks up on his previous work, is very transparent about his thinking process, and is not afraid to say when he finds out he was wrong about something. While it is true that most people who identify as paleo are actually eating neolithic foods that have been domesticated over thousands of years, the emphasis in this lifeway is avoidance of industrial foodlike substances and seeking out nutrient-dense, single-ingredient foods. Paleo is a convenient toolbox, not a religion. The name is a convenient shorthand term for a collection of ideas and practices. What’s the difference between Mark selling his primal mayo and a farmer selling organic produce? We all have to work, why not have a job that you not only love, but that also makes a difference in the world – for good? While I sort of agree, I think some things are really nice if they come in a paleo/primal version. Mayo is top of the list. I only wish I could get it here but the shipping to Canada is absurd. If people like eating paleo products, aren’t told they HAVE to, think they are worth the price, are don’t have negative health consequences, then there isn’t anything wrong with making them part of it maybe even all of their diet. And I agree it’s great that mark can make a living giving the best information out while providing the option for people to buy high quality convenient foods that taste good and don’t give most people health issues. The context of the business has to e taken into consideration. Is this company here because they are providing a quality product with the intent of helping others? Or is their primary motivation profit through taking advantage of misinformed people? Mark is not trying to “use” this beautiful health movement” as an ATM Machine. He is a catalyst of this beautiful health movement. Almost everything in the books he sells are available for free on this website – the books package the material in an easier format for persons who would prefer to get their information that way. And, sure, he sell some products – but no one is forcing you to buy them, and the products are quality products. There are certainly persons who try to exploit any health trend for their own purposes, and to monetize other person’s hard work. Mark isn’t one of them. Its really important to make distinctions like this. I too bring to work my prepackaged snacks, I just have a different idea of what those are. Namely a jar of almonds (from the Costco 2 lb bag), and some canned herring and sardines. Sometimes even cherry tomatoes from the grocery store. None of these say “paleo” on the label, nor are they expensive. It seems to me you have available to you only the options you choose to see. On the shelf right next to the Paleo Bourbon . . . . Speaking of grocery store, I myself have noticed that the same items (minus the mayo) are available at grocery stores right here in my area–for far LESS. As for the mayo, I and others ave been making our own, so other than shelf life, why do we need it in commercial form? Won’t adding Vitamin C or E to the product do this for us? I guess this all relates to the fact that there aren’t any ads her except from Mark himself. We should be grateful for that! First of all let me congratulate you Mark on your success. 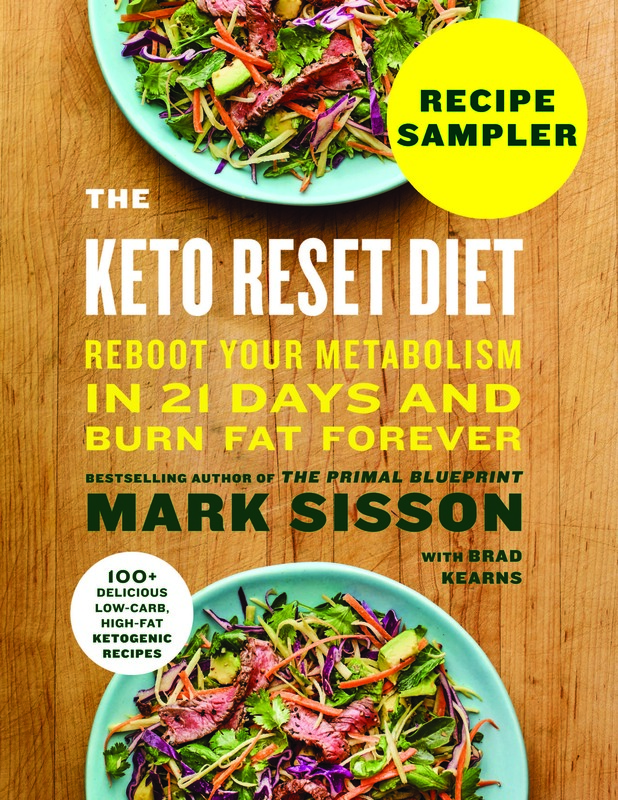 I didn’t realize that The Primal Blueprint has become the leading Paleo guideline. All I know is it most closely mirrors the diet prescribed to me by my Doctor for insulin resistance and metabolic syndrome. It has worked wonders. I especially like your flexibility and lack of rigidity. With that said I have to agree with John D here about the packaged food. I keep waffling back and forth on the Thrive market thing. I want to join but to be perfectly honest, other then the primal Mayo there is really nothing there that I eat. I would be joining just to buy things that I don’t currently put in my mouth. I like to say that my diet consists of meat and fire, as a joke. In reality it consists mainly of vegetables and meat, but almost exclusively SINGLE INGREDIENT FOODS. Beef, broccoli, olive oil, etc etc. Unfortunately these things are really only good when you buy locally and fresh. It’s a sad thing but boxed snack type things are really pretty much useless to me. Anyway, great work Mark, keep it up! I should say “diet and lifestyle prescribed by my doctor”. I made my membership fee back in three orders from Thrive buying food that I wouldn’t consider “packaged ‘paleo’ snacks” or whatnot. Most of what I buy there is supplements, canned sockeye salmon, cooking fat (fatworks tallow is fantastic), and a few odd things that sound interesting, like primal mayo. For me, it worked out well. Besides, snacking is not necessary to well-being. If you need a snack, you didn’t eat enough at your last meal (my daughter hates when I say that). I agree on the snacking thing, I don’t really snack. The cooking fats are interesting but the paleo bars, the cricket bars, the canned foods, I don’t really eat stuff like that. And I am far too picky about supplements. My doctor has pounded that into my head. I only really use stuff that doctors (naturopaths) prescribe, Thorne Research etc. If you *need* a snack, you are probably metabolically broken or a growing child perhaps particularly in a growth or pregrowth state. One of my favorite sayings is “no good deed goes unpunished”. The Second Agreement in Ruiz’s famous book is “Don’t Take Anything Personally”. Successful people do not let the naysayers affect their vision. I admire Mark for allowing dissenting posts on his blog, for offering probably the most in-depth and well reseached health information of anyone out there (the vast majority of it for free), and for being an entrepreneur and doing what he loves. Don’t agree with every assertion 100%, but find his guidance to be well reasoned and embraces a synergy of diet and lifestyle that is compatible and optimal for our genetics and the planet we live on. I wish there were MORE paleo/primal convenience foods myself, like ready-made cubes of dense bone-broths (beef, chicken, etc) that don’t have MSG or veg oils added to stir into boiling water, that would be a major convenience in our household, so would ready-meals made with fairly simple ingredients, no veg oils or grains, and organ meats which often need a very long or very short cooking time (heart, liver, respectively). I cook most of what we eat from scratch but it would be nice to have those things available, especially with high fuel prices. IMO Mark on here has earned his right to every cent and then some, and I wish we could get that Primal Mayo in stores in the UK, it’s the one thing I miss SO much. I became a member of Thrive Market recently. I’ve saved a bunch of money buying coconut oil and sardines from there as opposed to my local grocery store health section. My grocery store has the same brands as Thrive, but way overpriced. Thrive offers quite a lot. You’ll have some questionable products being sold here and there since it caters to vegan as well as gluten-free and straight-up paleo. Winnow through the bad crap, read labels and be a smart shopper, just like your local grocery store. Being a member of Thrive Market and attending weekly farmer’s markets keeps me happy. My son likes to say I’m Paleo, he doesn’t want to be and fights against it. At 12 he is more interested in carb feeding, however, as a baby he was totally primal in the foods he chose. He feels better and is a nicer kid on primal foods but going to public school his mind is bent by the end of the school year into thinking that CW and the SAD is “normal food” and what I eat – JUST REAL FOOD – is crazy and strange. By the end of the summer he’s back eating and believing in the real food we eat. Sad. I tell him that things are “gluten free” because that seems more “normal” to him than just eating meat and veggies. ??? That’s what peer pressure will do to you I guess. I tell him that I’m not Paleo, I just eat real food, food that grows from earth in some form – veggie, fruit, meat, it’s all from our earth. Processed food does not grow in our garden, nor does it wander in and eat from our garden. No going out to pick a fresh bag of bacon flavored, cheese flavored, etc chips. I started coming here because when my work sent all of us to weight watchers I got disgusted in all the food we were expected to eat that was so far away from “real” in any way. LOW FAT has a paragraph of non food stuff, no thanks. SUGAR FREE has a paragraph of non food stuff, no thanks. Hi 2Rae, Sure is tough to get the whole family aligned in their eating patterns sometimes! I recently wrote an article on Tips to Getting Your Teen to Go Paleo. Message me if you want me to send you the link. Thanks, I have checked your tips out. We’ve been doing this, however, the school and peer pressure to eat “normal” food does a lot of damage. After a few weeks of summer vacation we’re back to “mostly” real food and his support of it. I think it’s mostly in his head, if it’s “good for you” in his head then he doesn’t “like” it, even if he eats it all up. I do let him know that the more he eats clean the better his skin is (he gets little yeast patches on his face from too much “normal” food from school), that is a deterant. Also, when he was really little he asked about why some boys he met has such big tummys, did they have babies growing inside? I knew what their parents fed them, a LOT of fast food, so I told him that part of what makes that happen is fast food every day and sittilng around playing video games instead of playing outside. He made the decision last year to not eat FAST FOOD after the news about “pink slime”. He’s not unhealthy, over weight nor tired so the good skin is what we go on right now. My next project is to have him (and I) make chicken nuggets/strips paleo style – soaking in pickle juice (brine) first. We’ll see how that goes. Dana I just read your article and loved it! I don’t have teens (or actually any children at all) but I definitely find some of those tips apply to my 30-year-old fiance, haha. Let’s not get lost in the message. Sure we all make most of our own food because we are more educated in nutrients, gut biome, and epigenetics. But I personally like convenience in some things ….. yoghurt, condiments, whatever. I agree that there is a lot of ‘faux paleo’ out there, knowing what we know, we can pick and choose the best options available. If what is offered does not meet our personal standards, chances are it will not last long. Thanks MDA! Educate, Educate Educate. I love this perspective! We’re all different, from all over the world, with different emphasis, but we all all PEOPLE who want to live the best lies we possibly can. Eating and living primally helps make that a reality. 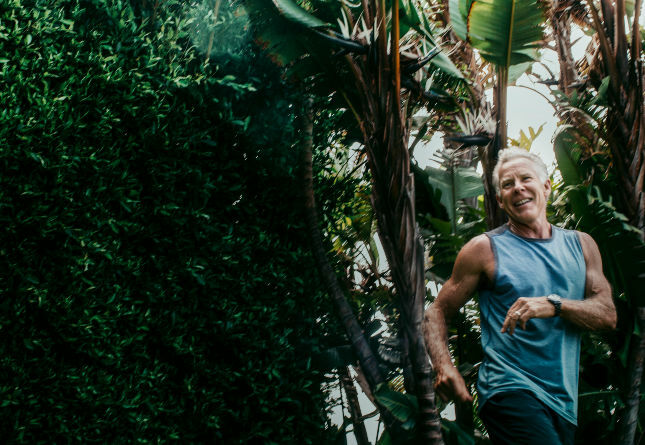 I think we will continue to see more and more types of people embrace the primal lifestyle simply because we are desperate to return to health. Thank you for sharing today! Just wanted to thank you for everything you’ve contributed to the Paleo movement, and to the “Healthy Lifestyle” movement. Ultimately, you’re having a positive impact on global well-being and health. 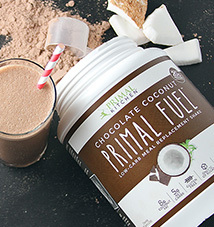 I’m from Panama City, Panama (Central America) and I’ve been following the Primal Lifestyle for almost a year now. Your knowledge, advices, and tips have helped me quite a bit. And not only have those things had a possitive impact on me, but I’ve managed to get people aware of what they are eating and also of how the sedentary lifestyle they’ve been following is killing them. Even if they don’t “convert”(lol) to the Primal Lifestyle, they have tweaked the one they have and have become a tad healthier or health-conscious. So thanks again, and Grok on! I’ve belonged to a food-loving Book Club for 20 years. When I was diagnosed with Celiac Disease almost 9 years ago, I remember patiently explaining what gluten was & why I couldn’t eat this or that. The hosts would often call me when planning menus to ask whether certain foods had gluten (they really are a lovely, caring bunch of women) but back then I felt like such a bother & a misfit in the foodie crowd. Now almost half of them are at least trying to be gluten-free, & 2 are Paleo-Primal! Even those who aren’t know what is good for us to eat. It’s pretty amazing! As a continuing MDA success story, one of my linchpin moments was this: two words. It was no longer acceptable for me to be obese, sick, tired, cranky, always hungry, a shade of the husband and father and human being I wanted to be. That I knew I could be. That I was. The magic, the ‘impossible’, the improbable, the transformations happen. When your status quo, your life is no longer acceptable. When you get to that point, embrace it, use it, transform. Be the change. I loved this article–and how it highlights the pivotal role of individual stories. I’m also so grateful for the ways Mark and MDA have helped build this diverse community. One of the things that I love most about my work as a DOM (as well as a PB Cert grad) is seeing such diversity among clients in my primal eating program–each client is so different from the next. These differences span age, gender, health condition, history, identity, social context, beliefs, patterns around food and eating, etc., etc. They also span how the program–and primal-paleo eating more generally–will work best for the particular individual (both in terms of crafting an optimal diet…and in terms of figuring out how to help the person change their eating patterns in a successful, sustainable way). And yet, despite all their differences, my patients share something important: excellent results after transitioning to paleo-primal eating. MDA and the Primal Blueprint Cert material remain a key resource for me, as a doctor, and for my patients, as I spread the word. Thanks again for helping grow this beautifully diverse tribe. I’m female & (ahem) over 30, far from a gym rat though I do lift modest weights at home. I’m an ex-running addict, ex-vegetarian, still not a huge meat eater (I do eat some, but more fish, & lots of eggs). You will probably never see me in Vibrams (though I love going shoeless). I’ve been addicted to Mark’s Daily Apple since the first day I encountered it. I’ve learned so much & it has changed my life in many ways. I still have a long way to go to be as strong as I hope to be someday, but the very fact that I’m moving in that direction (instead of wearing myself down as I did for way too many years) is empowering, & I thank you, Mark, from the bottom of my heart. 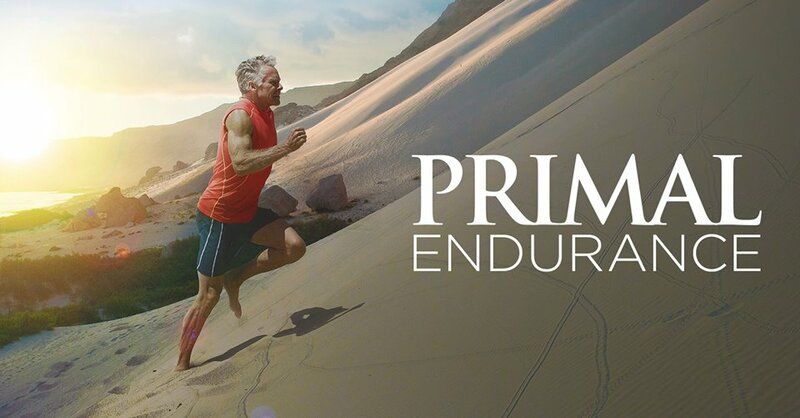 I’m still shocked that I was raised on margarine and tv dinners and bread and pasta and vegetable oils, but I’m now healthier, faster and stronger in my late 50’s thanks to Primal. 5 years and counting. I’m figuring every cell in the body is different after 7 years, so in 2 years I’ll be 100% certified caveman. Wow same for me: I will be 100% certified in two years also, February 2017! I just like the simplicity of it. If you can’t grow it or kill it, don’t eat it! Great Post! There is still so much resistance to Paleo/primal. I’ve started explaining it to newbies as focusing on foods that are as close to being alive in its natural state as possible. Grains need to be monoculture farmed, dried, chafed, ground into flour, bleached, fortified with vitamins and baked into bread, and topped with something salty or flavorful before one can eat it. If you are highly active and need carbs it’s best to pick berries from a vine, an apple from a tree. The best food one can eat is a fish from the sea that so fresh it is safe to eat raw. Modern convenience foods are simply not food at all. Sometimes when people can’t see the good, you have to show them the evil. YUM brands markets junk food to the masses world wide and pays a dividend. Their shareholders and lobbyists don’t care about health. They are in the business of food addiction. Mark has invested his time and effort in providing this wealth of information that is appreciated by free thinkers worldwide. I will buy his products before I walk into a Pizza Hut or KFC. I think what continues to draw me back is the concept of being a little bit more chill about monitoring what goes into my piehole. 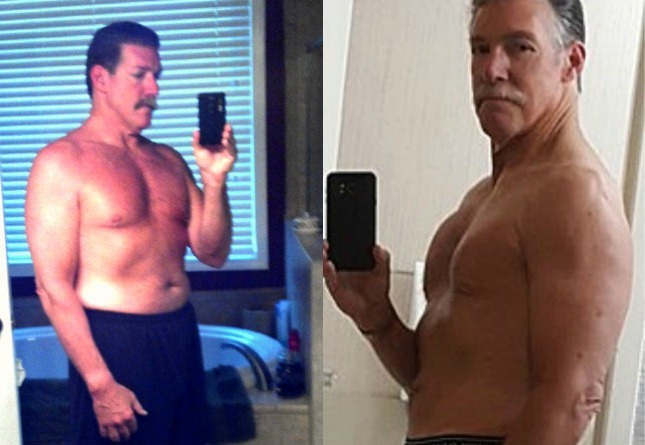 What makes me leave is the over-the-top morphing of this lifestyle back into the over-regulated bible-thumping dictatorial drive by a segment of the population to be “buff” (as opposed to “healthy”). I keep coming back, mind you, because I’ve decided the militantly primal or paleo people will be in every life style there is out there. Me? I don’t want to count calories. I don’t want to calculate net-carbs. I want to feel as great as I can and be the oldest person I know not on prescriptions. If I happen to come by a well-enough body, that’s fine. I’m not going for “abs”. I’m going for strength and resilience to get through the last half of my life. So thankful to be a part of this community! Thank you, Mark, for being respectful of all of us. For allowing everyone to share their thoughts & stories in the comments as well as on Fridays. Thank you for taking reader questions seriously & responding thoughtfully. This is my favorite source for health-related topics. Oh – don’t forget we are also considered mentally ill 😉 That’s right – my hubs told me that he’s read several disturbing articles in mainstream media recently that describe folks who are paleo or otherwise traditional foodies as mentally ill! As for me – I’m 52 this year, and came to MDA and primal lifestyle in late January as an attempt to specifically address asthma issues (with great success so far) and overall health. The immediate weight-loss was a lovely side-effect of the dietary changes and the renewed commitment to daily long walks. My past? Mostly junk-food free but definitely included lots of whole grains – I was the crunchy mommy in the 80s who made her own babyfood and fed her baby egg yolks, LOL. Regardless of activity levels or calorie levels, I always carried extra weight – but now it is just melting off (at a safe rate) and I actually feel like I am returning to “me” – a younger, fitter base-point. I’m a grandmother to an active 16 month old boy – and I plan to be that wacky non-trad grandma who still walks marathons and hikes in the woods and lets my great-grandkids dig in the garden and hold bugs when I’m in my 80s or beyond… I’m so excited! I just joined the community, but I am having problems and would appreciate some feedback from you more experienced members, regarding when you first started or had some setbacks,if anybody reads this. 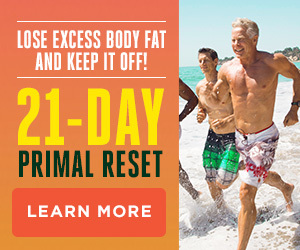 I started primal about 2 wks ago and read lots of stuff on MDA, and I initially lost 8 lbs, only to gain back 5 of them :(. Been following the PB, diet and exercise alike, sleeping 8 hrs, low stress levels except for lack of weight loss. This is very frustrating, and I am about to go have an ice cream sundae because I’d rather be eating things that give me a little pleasure than crying because my flourless, sugarless cake came out tasting like a brick left out in the sun! What a waste of a pastured egg, organic almond extract, and cocoa powder. I cut out ALL grains, down to 1 cup coffee a day, drinking lots of water and herbal tea (a little green tea), eating tons of veggies (no fruits right now), grass-fed meats and pastured eggs, minimal dairy (just plain yogurt and grass fed butter, a bit of grass fed cheese only now and then), only a few raw almonds once in a while (3-4x week). Zero processed foods or sugar, whatsoever. Added some fermented foods daily like sauerkraut or miso for the probiotics. Not to mention I am spending a fortune on organic produce and grass-fed meats/wild caught fish! Plus I am sore from all this walking (and still overweight, of course), and cranky apparently. I did the sprints, and i have been doing kettle bell exercises a few times a week, and yoga for the stiffness. I don’t know how people keep up this lifestyle if they do it by the book and get no results. I understand I cut out a lot of foods from my diet and introduced a lot of new ones, but it’s so disheartening every time I get on that scale and it doesn’t budge. I tried the IF, having a bulletproof coffee and not eating until later in the day – doesn’t seem to do a heck of a lot as far as weight loss. I do not think I am eating massive quantities, I do graze but on hard boiled eggs or roast beef around a pickle, usually, sometimes bacon before bed. My ideal weight is about 40-50 lbs lighter than am, based on my height. I was an ok weight before the winter but went on a temporary medication for depression that made me gain 30 lbs, and now I’m off the meds happily, but the weight won’t come off! I feel like a failure, did anybody else have this problem only to see results later? I’m in my mid 30’s, female, 5’3″, used to be very thin and athletic in youth. Please help me, primal community! I would like to stay a part of you, but it’s difficult to keep shelling out $$ for healthy foods when a box of pasta is like a $1 and I don’t lose weight either way, you know? I will say I sleep way better now (and no need for naps), digestion is better overall, and although my clothes still don’t fit, I feel like some might be getting looser. Also, my skin has been broken out all over for months and i hoped it would improve, nothing yet. Thank you so much for your help. Sorry for your frustration. It might be a good idea to STOP getting on the scale. The way this works is to make you more healthy and it will take more than 2 weeks to really see and feel huge results. I try to eat as clean as I can afford and that helps, some foods do not “need” to be organic. You are also at an age when our hormones typically go through changes, I also gained weight (moan) in my 30’s as a result of my body’s reaction to that. It may take a visit to a good doctor that understands / agrees with this way of eating and living. Don’t give up, sometimes it takes 3 or 4 weeks to feel better just from ridding ourselves of the grains. Wow, you’ve tried to tackle a lot in a very short period of time! I’ve been Primal for 12 years, and Paleo for most of that time since I found out that dairy products caused me all kinds of respiratory distress. The way I was able to do this was to tackle one thing at a time. First I cut gluten, then dairy, then sugar, then grains, and lastly bad oils. Gradually I increased my sleep and my exercise. I very gradually lost weight, no longer had bronchitis or sinus infections, my joints stopped hurting, my headaches went away. Maybe you could make a Primal outline of all the changes you’d like to make and put them in order, and tackle them one at a time? ^ Good advice, that’s a lot to give up all at once. IMO no replica baked goods are going to be exactly like the original so leave them out for a while until your taste buds have completely adjusted, and then see if they’re even worth the bother. There are lists online of the “dirty dozen” and “clean 15” foods with the least and most pesticides – avocadoes are not as worthwhile buying organic as lettuce or celery, because the tough skins protect the bit you eat and they get fewer creepy-crawlies anyway. Maybe reintroduce a bit of white rice 2 – 3 times a week or something, see if there’s one “old life” thing you can add (that’s neither gluten or veg oils, from what I read they’re the worst two culprits) that makes the rest more liveable? Wow thank you everyone for the advice, I’m going to stop getting on the scale 2Rae bc you are right. My doctor told me to eat whole wheat so I don’t listen to him anymore, lol…bc gluten makes me feel terrible. But I feel all around more healthy eating this way so I’ll just weigh in once a month and no more. Thanks. I checked out that dirty dozen and clean 15 MrsRathbone, thank you for that…big help! I did give up on the baking and had a little cocoa drink with stevia and cinnamon, and that seemed to make it all better for a time. Sarah: It is encouraging that you have been on this lifestyle so long and your medical issues have gone away! That’s amazing. I probably should have eased into it, like you did. Thanks for the idea about writing it out, I am doing that today. Paleo Lady, you just gave me so much hope with that story about you and your daughter not losing weight at first, and then becoming goddesses! I know it’s for overall health, not just for weight lose, but oh to be able to wear a bikini again….sigh. Many great replies, and I’ll all just one more, hopefully a good one. The biggest thing I learned from going primal was to simply relax, take thinks as they come. We have been living in an instant fix-it-all world it’s hard not to want everything to be fixed now. Sadly, it took time for our bodies to become broken and not feel so well, it is going to take some time for that to improve. 2 weeks is a blink of the eye in the big scheme of things. Relax, believe that you are doing something good for yourself and above all else, be kind to yourself. We all deserve kindness. Hey, it seems like everyone has different initial reactions to this lifestyle. I did the 21-day challenge in February; I felt great, lost 10 lbs, and felt clearer mentally. Then I stalled for 3 months with no weight lost and no change in inches. No, I’ve checked my weight after getting frustrated and not checking for a couple of weeks, and I’m down a couple of pounds. There’s been a lot of change over the last months, so it would be impossible to tease out what caused it, but it’s a confirmation that I haven’t gone too far off course. I don’t have much to lose, only about 25 to 30 lbs, and I have a family history of large women in my ancestry, so I have come to accept (finally, at 34) that it will take me longer to get to where I felt best. As has been said before, weight loss is non-linear, we are not machines governed by calories-in-calories out equations. We are all at different starting lines, racing our own races. Some people have sprints, some have marathons, some have iron-mans, and some have tough mudders. I just thought of something, what if you chose to focus on a physical goal instead of the weight? Something like riding a bike to a spot that seems difficult now? Being able to feel the difference in strength and endurance in a practical, tangible way could help. hey there New! I had pretty much the same experience at the beginning. I lost 10 lbs almost immediately, and then ended up gaining 5 of it back while still eating primally. It was really frustrating, because we are so focused on the scale. However, I had checked my measurements at the beginning as well, and I was continuing to lose inches. This kept me motivated. So my guess is my body was rebuilding muscle just from having the extra protein, but still losing fat. You’re off your depression meds which is a huge plus and you’re sleeping way better. That’s great for only two weeks primal/paleo, so give yourself a big hug. Remember that your overall health is what you are aiming for, not just using primal/paleo as a weight loss plan, like those others that don’t work and cost a fortune to boot. Give the baked treats a miss for a while, they are an occasional treat only and not a substitute for bread, pasta etc. You still lost a net weight of 3lbs over two weeks, that’s pretty good considering you started a lot more exercise which firms up the muscle, that’s a good thing but muscle weighs more than fat. I don’t know how much exercise you are doing but don’t overdo it, I found it best to gradually increase exercise and carefully look at my food portions. I don’t have my gallbladder anymore so I’m a bit more careful about the amount of fat I eat, it was trial and error but I’m about right with the fat portions now, avocado’s, butter, olive and coconut oil. A dash of cream in my morning coffee, and it is a dash. I don’t get on the scales anymore but use the tape measure once a month or so. Over the last 10 months I have gone down 2 whole dress sizes and have had to replace all my clothes. I don’t buy all the expensive food but go to the local farmers markets and I have sourced out grass fed ethically raised meat, chicken, pork at not much more than the supermarket prices, get organic veggies and eggs when I can and when I can’t I buy from the local supermarket. I don’t feel guilty and I’m still losing weight, but more slowly now. Look at this change as a long term process for your overall health and well being, it will happen if you stick with it. If you just can’t lose the weight there may be a medical issue, thyroid is the most common I believe but this can also be fixed. Dr. William Davis wrote a book called Wheat Belly, lose the wheat and lose the weight. It is well worth reading and he goes into everything about grains and their disastrous effect on our bodies. Two weeks in, you’ve hardly started, stick with it. This comment board alone is proof that the Primal community is incredibly diverse. To each their own! Thanks, everyone, for your kind words. Grok on! I know you and I are world’s apart on some things but I must say you’ve never banned me from my beliefs–nor have you ever discouraged others. As for Primal Living– MDA has been such an exciting, well researched, ever expanding, increasingly eye-opening site to explore. I who am a pastor have been one of your biggest promoters from proudly being the only one of 2,000 employees who uses a stand-up desk–to passing up the garbage they eat and enjoying home made primal fare. I am glad this site is successful for it is literally helping people to live fuller, healthier, and more enjoyably than ever before. It is encouraging to see the Friday success stories which I have shared with co-workers that suffer from diabetes and other ailments, hoping that they might see the connection between diet and health. I proudly display the slogan LIVE LONG DROP DEAD on my desk– and when people ask me how can I standup for hours without sitting down I tell them about MDA and the benefits of standing vs. sitting. Of course I had 25 years of practice as a radio talk host standing every morning for about 6 hours! But who knew I was doing something beneficial all those years? What I am saying is this: THANKS– I enjoy the diversity of fellow Grokers and Grokettes– and while we may not have the same faith– we do share a love for living that way too many are missing out on. I really do feel your pain: both my daughter and I can eat and exercise religiously, and weight changes are so slow that I’ve had to completely stop weighing myself for months at a time. But don’t give up. I’ve been eating lo-carb/ lo-glycemic since South Beach and upgrading to the next best version (which for me is now very lo-carb, moderate protein, hi fat whole food diet) for many years. Every such diet has at least a three-week “intro” phase, and for some people that is actually 6 weeks. (See the Whole30 for that depressing tidbit.) My highly fit (and formerly highly carb-addicted) daughter saw NO results until week four. Now she’s a goddess. I myself have been at a “second-glance-on-the-street” place for a while now (despite being 56). It can be done. Budget has been a problem for me too, so I just buy what I can afford. Often that’s “grocery store” meat. Certainly if I’d had to choose between going broke or breaking my diet I’d have done the latter in a flash (it’s only reasonable). Take heart. The magic does happen, but that “the pounds just melted off” stuff isn’t guaranteed, alas. What can I say but thanks Mark. In 2010 I got the PB book as a birthday present. I was an active exerciser, 58 years old at that time, working out in the gym daily, almost an hour a day, seriously considering getting up earlier to have more time to be able to do all the “right exercises”. The book clicked with me especially in the workout part: I was suspicious, how can I be fit doing 2 sessions of 20 minutes a week and one of sprints? The eating part was a breeze for me: I come from the Atkins persuasion; if alive he would be a bona fide old Grok these days. Primal/Paleo produces this outcome more often than following Conventional Wisdom. N=1 x 10,000,000 and growing! I live in Canada as well and also wasn’t able to (affordably) get Mark’s mayo here. I had the worst experiences trying to make my own using a blender and dribbling oil into it. We picked up a hand-blender for $20 and tried it. Mark, let me first join the chorus and say thank you for all you do. Your (free) content has helped me and many others. When friends ask about how I stay slim and fit, I give them the short primer on MDA and send along the link. My latest so far partial convert is a friend with cerebral palsy, who is amazed at how much better he feels since giving up sugar, especially soda. As to products, sell away without doing so intrusively, which you always do. I am in the paleo-food-bars are silly and defeat the purpose camp (as are cookies, tortillas, pancakes and the like) but realize some people want to eat this kind of food, so a better option is good. Haven’t tried the mayo yet although it is on my list. +1 to Rachael from the UK! Mark-keep doing what you’re doing. I have been primarily paleo for about five years(didn’t even realize it had been that long). My husband thought that I was on some fad diet-now he eats whatever I cook, so does my teenage daughter, who is getting ready to go to college…my 13 year old son will hopefully learn by example. I love this site and reading the comments from the paleo community! Need a primal dating site. Tired of having to pretend I like icecream for girls to like me! Even the stone-age women knew exactly what they wanted from a man. Man needs to be strong, intelligent and trustworthy. In today’s world, physical strength is no longer required because we don’t need to fight our neighbours and wild animals for survival. So women will be looking out for intelligent&trustworthy men. Out of these two traits, trustworthiness is more important. You can be a fool sometimes but if you remain an honest fool, she will think better of you. By telling a lie (faking things) you’re proving yourself untrustworthy and a jerk. Smart guys know that honesty is the best policy when it comes to human relationships. An intelligent guy who lies is not trusthworthy (or smart), he’s just a slippery fish. The bottom line: maintaining a paleo diet and showing off a ripped body will NOT get you the woman of your dreams. You need to exercise your higher brain functions, too. Next time someone asks you about icecream, just say: “Well, I’m not a big fan of icecream (haven’t tried it much) but I like dark chocolate”. If chocolate isn’t your thing, just name some other paleo-approved dessert thant you like. Strawberries with cream? I like it! My wife also knows I like it, so she often brings me strawberries and sugar-free cream. The best thing is, I don’t need to fake anything because I’ve been honest with her from day one. Sorry about the rant. It just seems to me that some guys (okay, quite a many of them) are doing well with their paleo diet&exercise but fail to apply the same, simple “Grok logic” to their human relationships. I love this site and community! Thank you Mark and everyone! Just wishing for a primalcon in the UK…. And I think it’s great that Mark is offering healthy alternatives to the usual rubbish-filled products like mayo. Imagine if, whenever a person reached for a packaged food at the supermarket, it was guaranteed to be made from life-giving and not life-taking ingredients. Hi Mark, thank you so much for this wonderful pep talk, I can’t tell you how good your timing was, as I continue to struggle in committing fully to a Paleo way of eating. I’ve been feeling quite blue about it lately but this has made me feel better, feel more like I’m part of a community and that even though nobody knows me they want me to do well and feel well too.